Choosing the right paper for the perfect photograph means the difference between a good print and a great one. Color saturation, flesh tones, contrast, and tint all come into play, no one aspect more important than the other. They all need to be exactly right. We offer three different papers to ensure archival quality that stands the test of time. 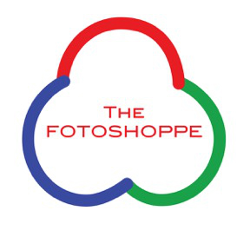 In addition to our high-quality papers, The FotoShoppe has an experienced team of technicians to ensure you get beautiful, consistent color on every image that prints in our lab. Our team will review your images, and enhance them if needed, to bring out the best in your memories. For our color glossy and matte prints from wallet to 8x12 we use, fujicolor crystal archive professional paper which is the most popular paper used by professional photographers. Accurate color, realistic saturation, excellent neutral flesh reproduction, and greater intensity are just a few of the benefits of E-Surface paper. Fuji Pearl uses a patented combination of film and laminate layers resulting in striking three-dimensional images. Its unique pearlescent surface, resistance to tearing and curling, and ultra-bright backgrounds make it an exceptional paper regardless of application. With super saturated colors and a standard archival value of 100 years in home display, these prints can be passed down as the cherished memories they are now and the treasures they will become. Who better to print these than your trusted staff at The FotoShoppe!